1. Are you part of a builders association? 2. Do you have a list of recent customers or references that I could reach out to? 3. What licenses and insurance do you have? 4. What are your standard finishes? 5. How many years have you been in business? 6. How many homes have you built? 7. How do you compare yourself to other builders? 8. What are the most important benefits of the homes you build? 9. What type of warranty do you offer? you built for another customer? 11. What are the major energy-saving features of homes you build? 12. Do you build only from home plans you supply? Or can I provide my own set of plans? 13. What options and upgrades can I select? 14. Who will oversee the construction of my home? 15. Who should I contact with any questions I may have? 16. How and when can I make changes or upgrades before and during construction? 17. How and when will the final price for my home be determined? 18. How often (and when) will I have access to the home during the building process? 19. 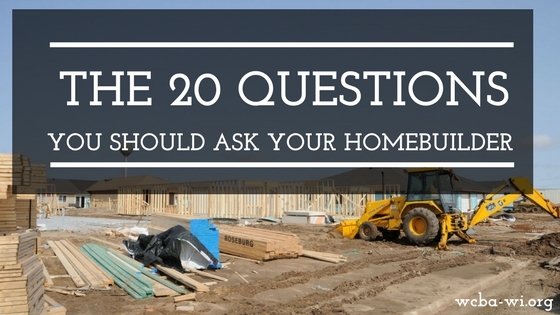 How long will my home take to complete? any matters that need to be corrected or finalized? 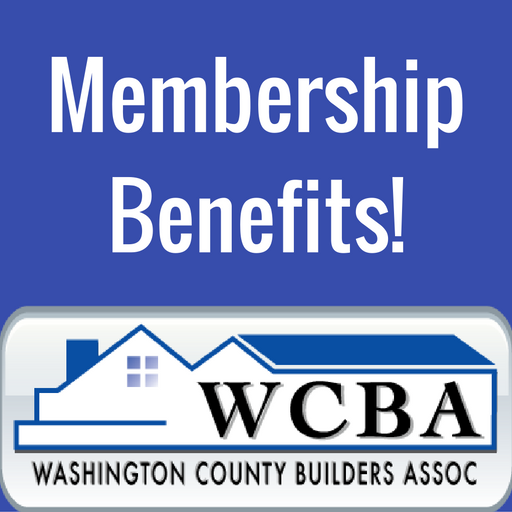 The Washington County Builders Association is always a great place to start the building process. Contact us today to learn how you can benefit from our professional contractors.